Sexing: In General: Males are more brilliantly colored then the female. 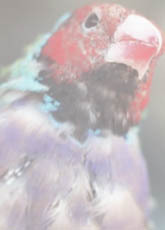 The male may have a noticably longer center tail feather if the birds are in top condition. Social: Somewhat. 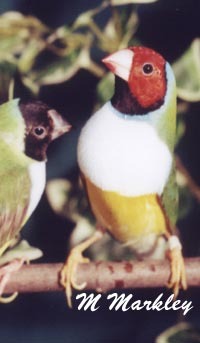 In non-breeding conditions they may live well with other Gouldians or other finch species. 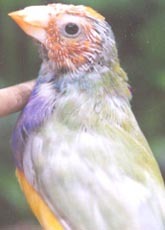 While breeding the pairs can become aggressive towards all other birds. These birds can be startled easily off their nest by other birds or humans. It's best to breed them in single pair cages. Housing: Flight cage or aviary. The more space the better. Diet: Mostly Seeds and Millet. 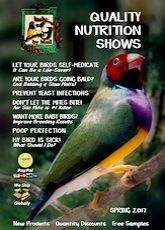 Cuttle bone & sprouts are also very good for your Gouldian's health. 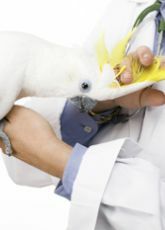 Confused about the role Vitamin Supplements play in your bird's wellness?